This article is for anyone who wants to learn more about the Varidesk line of standalone standing desks. 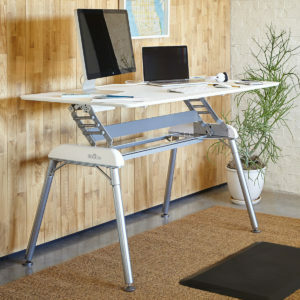 Yes, Varidesk branched out in to the true standing desk market with the Pro Desk product line. This article gives you expert information about the desks, tips for using them, and how not to use them. 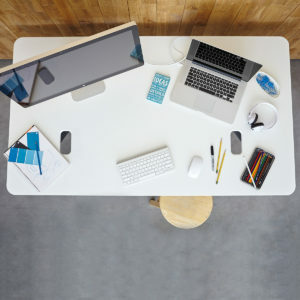 Why a Real Varidesk Desk? 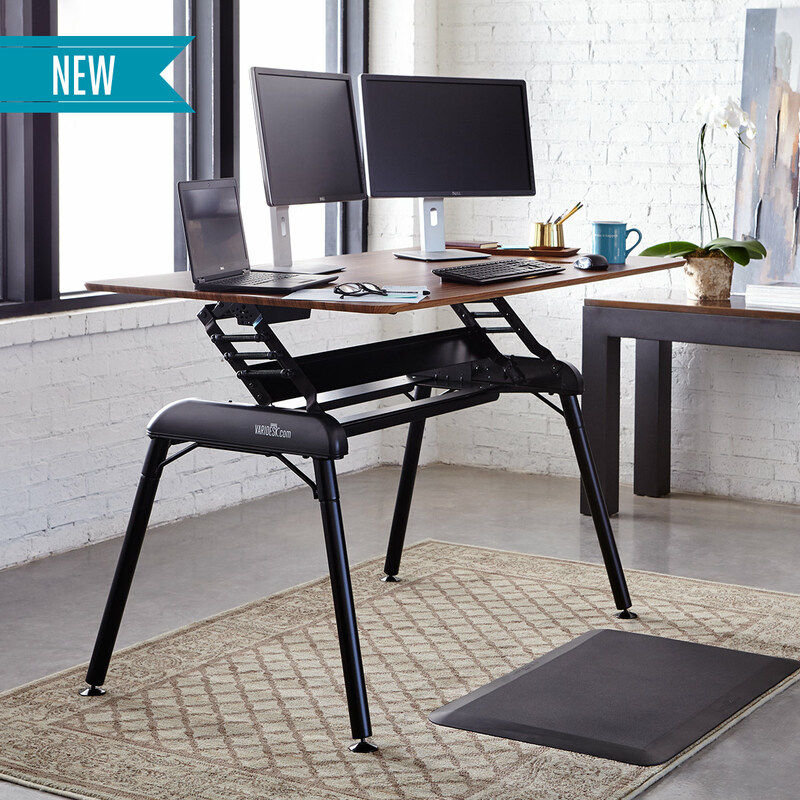 Adding a standing desk to the product lineup is a natural addition for Varidesk. 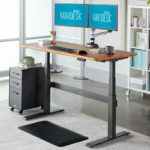 Varidesk products (often misspelled veridesk) are very popular with people who want to try out standing at work before really committing. Their products enable this because they are cheap. Once people get to try out standing many decide to purchase a fully adjustable desk. So, adding a group of desks makes sense because Varidesk can keep their customers as they graduate in to a more lasting solution. Keep in mind that Varidesk took the lead in the market initially but these days there are far-superior products at a lower price. Varidesk has a great brand and you pay extra to buy their brand. Imagine all the $1500+ desk companies competed to make assembly and standard features, well, standard. That’s what this desk has in a much cheaper package. The Pro Desk 60 comes in two colors: all white, and black with a darkwood tabletop. The black/darkwood model definitely stands out between the two and from time to time it goes out of stock. To make this desk the folks at Varidesk essentially took the Exec 48″, stretched it to 60″, and put feet under it. The result is a nice desk that moves between sitting and standing easily. It also assembles easily with no tools. Do note that your monitor arm options are limited due to the way Varidesk products support the desktop on the center-line, rather than at the four corners. Multiple monitor arms with large monitors can make the desk unstable. This is partially mitigated by the fact that the desk is lower when the desktop is in its furthest-back position. Varidesk will undoubtedly expand this new desk product line in the coming years.